The Food Bank of Northern Nevada is proud to partner with more than 140 agencies in the fight against hunger. Non-perishable and fresh food items are distributed by the Food Bank to our network of Partner Agencies, who then distribute the food directly to families, children, and seniors in need in our community. The agencies and their committed staff and volunteers are really the boots on the ground in the fight against hunger. 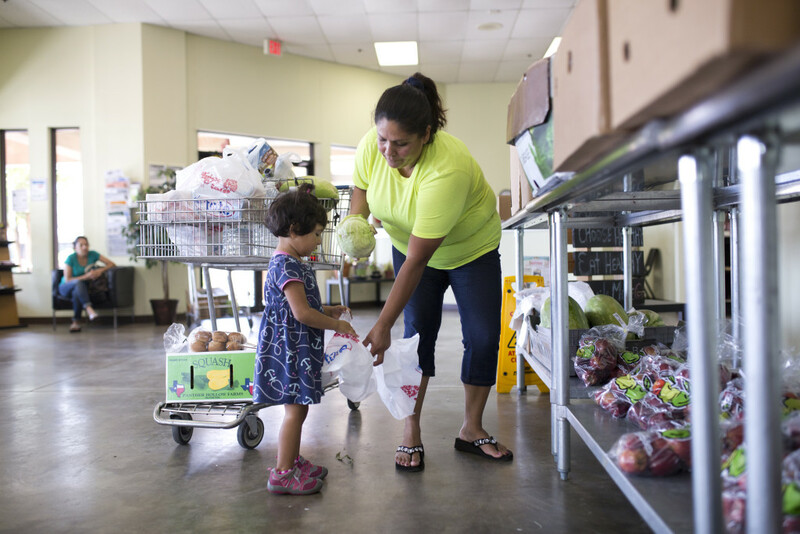 Partner Agencies can be emergency food pantries, shelters, family resource centers and more who get food to the hungry all over our 90,000 square mile service area. Access to healthful, nutrient-rich foods is extremely important for community members served by the Food Bank of Northern Nevada. The Mobile Harvest program is a direct service program that allows us to distribute perishable foods such as fresh produce, bread, and dairy into high-need neighborhoods. Each month, we visit more than 40 sites throughout Reno/Sparks and rural northern Nevada and eastern California. The Food Bank utilizes the free and reduced school lunch numbers to help us identify neighborhoods for distribution and target children and families in need. Thanks to this program, nearly half of the food distributed to clients each month is fresh produce. Seniors are served by the Commodity Supplemental Food Program (CSFP). This is a program of the USDA in which the Food Bank distributes monthly boxes of food to seniors in need. Boxes are distributed at many sites around northern Nevada and can include cheese, cereals, beans, rice or pasta and canned fruits and vegetables. In addition to the standard box of supplemental food items, clients are able to receive fresh produce during CSFP distributions.